The Jane Goodall Institute is leading innovative research studies on wild chimpanzees. 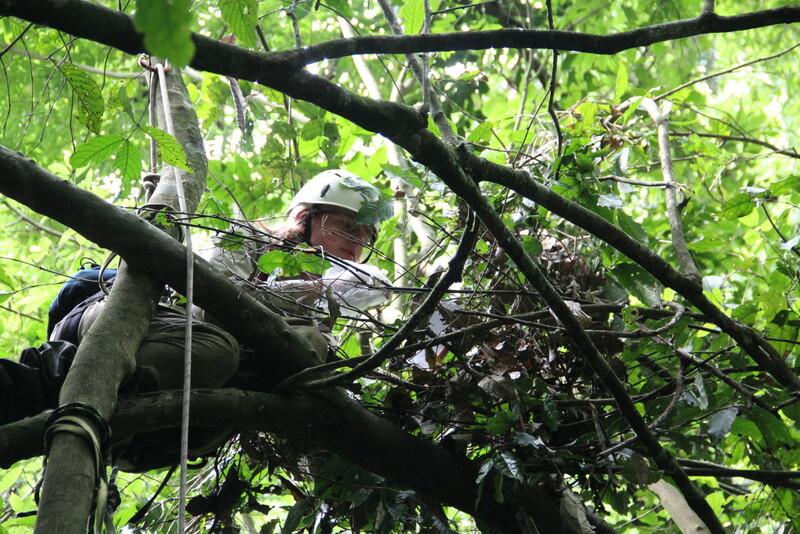 The aim is to assess the impact of increased human activities and environmental changes on the stress level of chimpanzees. Animal species living in landscapes that are impacted by anthropogenic activities are at risk of long-term fitness decrease due to chronic stress. The Jane Goodall Institute is collecting hair of chimpanzees left in their sleeping nests and analyses the cortisol levels in it. Cortisol gives a good indication of the stress level of chimpanzees over a long period. The study started in north-western Uganda to assess the welfare and stress of chimpanzees when they are facing human activities, such as ecotourism, forest fragmentation, human-wildlife conflicts, illegal logging and poaching. This tool is a non-invasive indicator and preliminary results show that forest fragmentation and human-wildlife conflicts generate more stress in chimpanzees than well-organised and regulated ecotourism activities. To gain more knowledge and to be able to assess and develop sustainable ecotourism projects, the Jane Goodall Institute is carrying out more studies on chimpanzees in other countries, such as Senegal, the Republic of Congo and Tanzania. You can support our research work by making a donation. The research study is carried out by the Jane Goodall Institute Switzerland and the University of Zurich.